Crowns cover or "cap" a tooth to restore the normal function and appearance of the tooth. 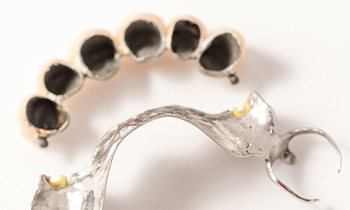 Crowns may be made of all metal, porcelain fused to metal or all-ceramic (porcelain). Crowns are indicated for teeth with very large fillings, teeth that have had a root canal, fractured teeth and misshapen and/or discolored teeth. Porcelain veneers are used to modify the shape and color of teeth. 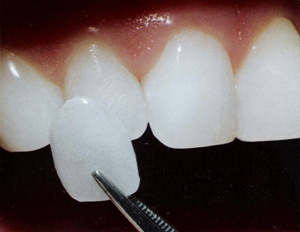 Veneers are thin shells of porcelain that are bonded to the enamel of the teeth. Tooth preparation is necessary to avoid over bulking of the tooth, but it is limited to the enamel and usually requires less removal of tooth structure than crowns. 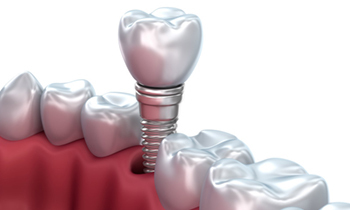 Today's dental implants are typically made of titanium and are tapered with threads. These fixtures are placed into the jawbone and allowed to heal until they are "integrated" into the bone. Dental implants may be used to replace one, many or all of a patient's teeth. 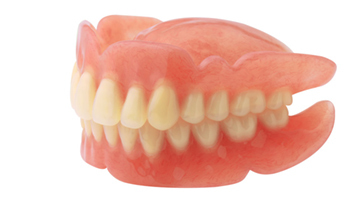 When there are multiple missing teeth, weak anchor teeth or no back teeth to anchor on, a removable partial denture is used to replace teeth. These restorations typically are made of a metal framework and a plastic base with teeth. They must be removed for daily cleaning and at night. 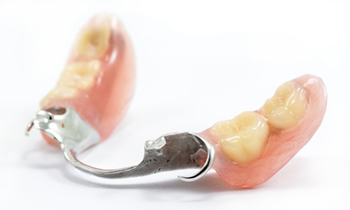 Dental implants can also be used to help stabilize and secure removable partials. Many patients use this acronym to refer to the painful symptoms related to Temporomandibular Joint Dysfunction. Symptoms may include pain in the joint itself, pain in the chewing muscles and limited movement of the lower jaw. Sleep apnea refers to a temporary cessation of breathing while sleeping. 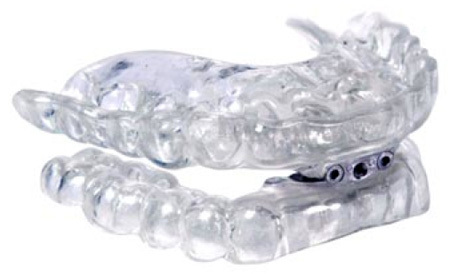 Many times the airway is obstructed by the patient's anatomy, and the placement of a specially designed night guard that repositions the lower jaw can improve the airflow.